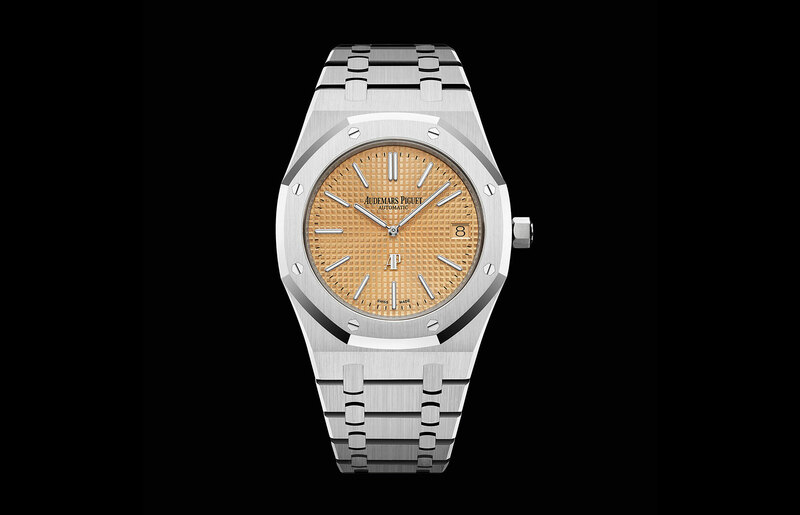 The Royal Oak Extra-Thin “Jumbo” with a pink gold-toned dial is a limited production model that’s a nod to a limited edition made for the 20th anniversary of the Royal Oak in 1992. 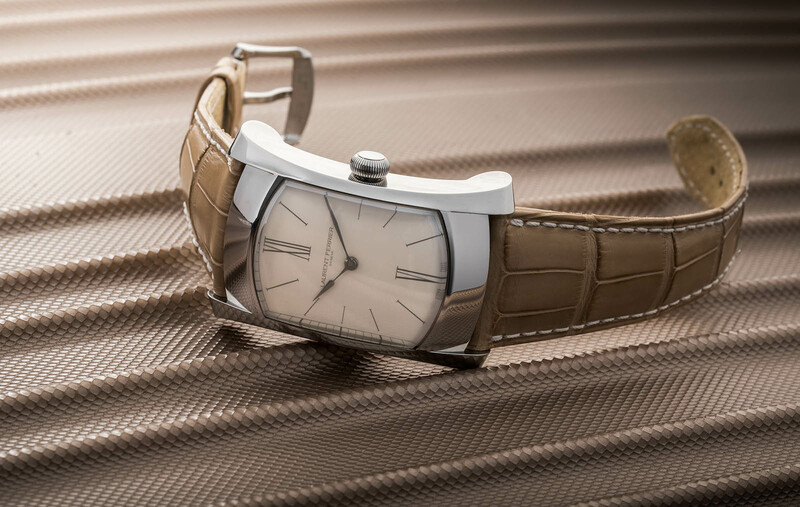 While the watch from 25 years ago was stainless steel, the new Royal Oak Extra-Thin is 18k white gold. 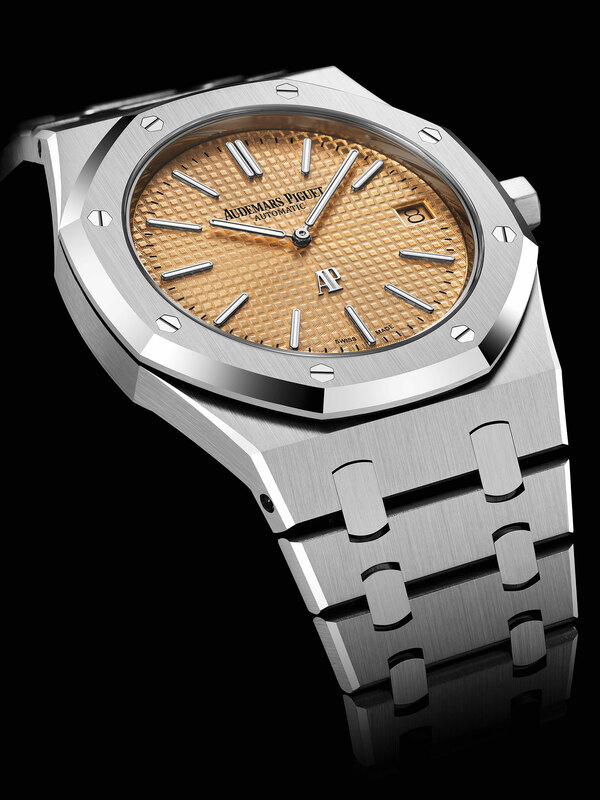 Only used infrequently for the Royal Oak “Jumbo”, the metal is found only on a handful of Royal Oak ref. 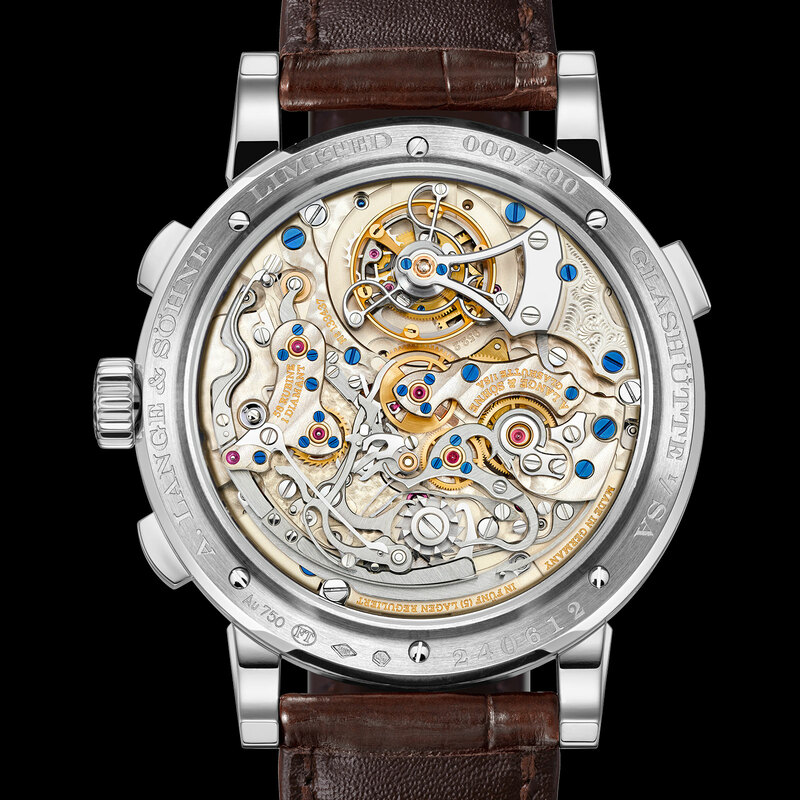 5402 watches of the 1980s. 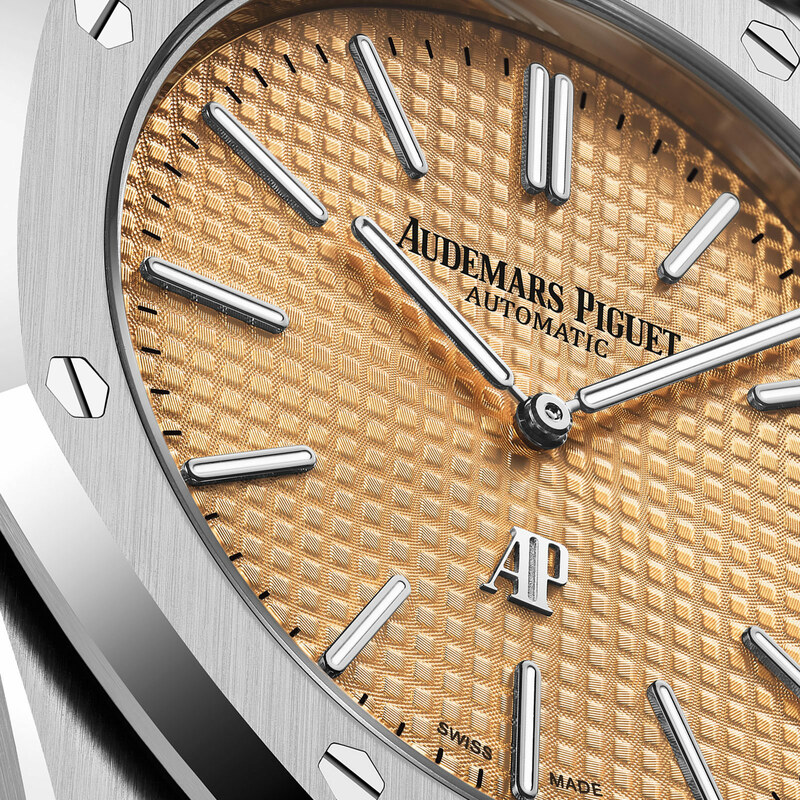 The dial on the new edition is salmon, but decorated with the familiar Petite Tapisserie guilloche that’s standard for the Royal Oak. 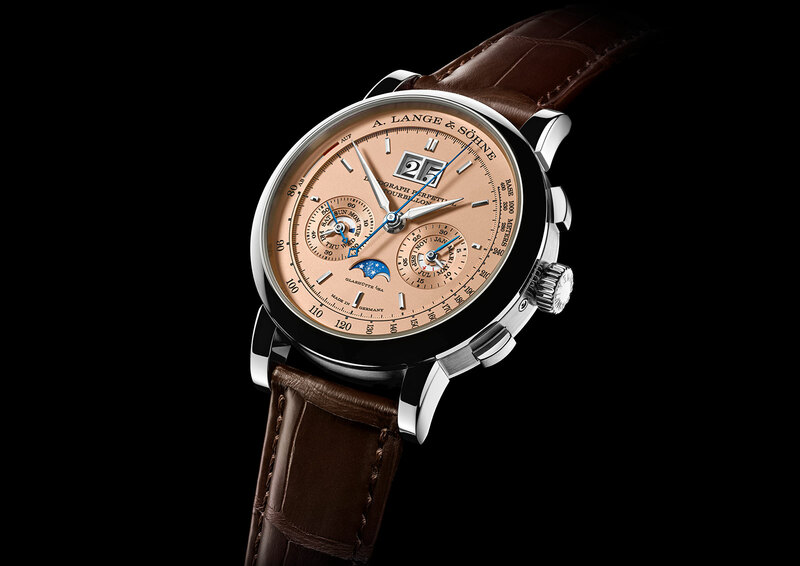 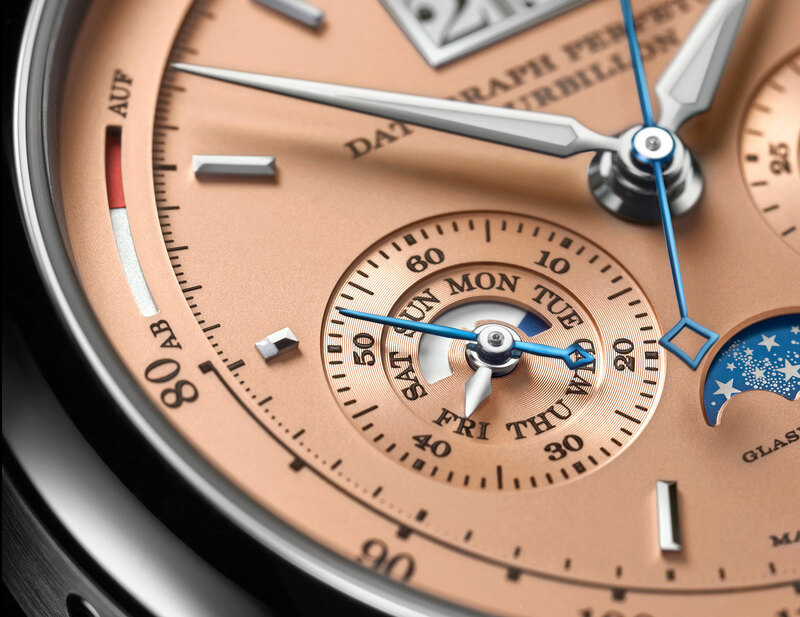 Notably, the date disc is also finished with a pink gold tone to match the dial. 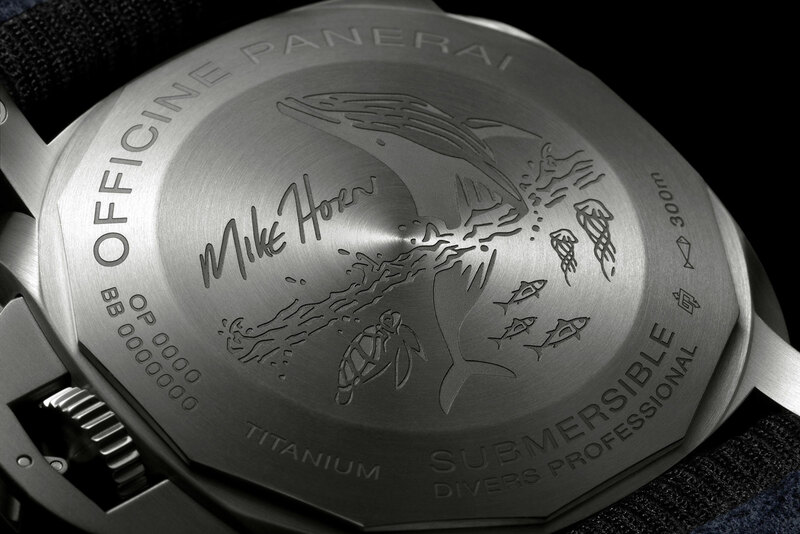 The hands and hour markers are solid white gold. 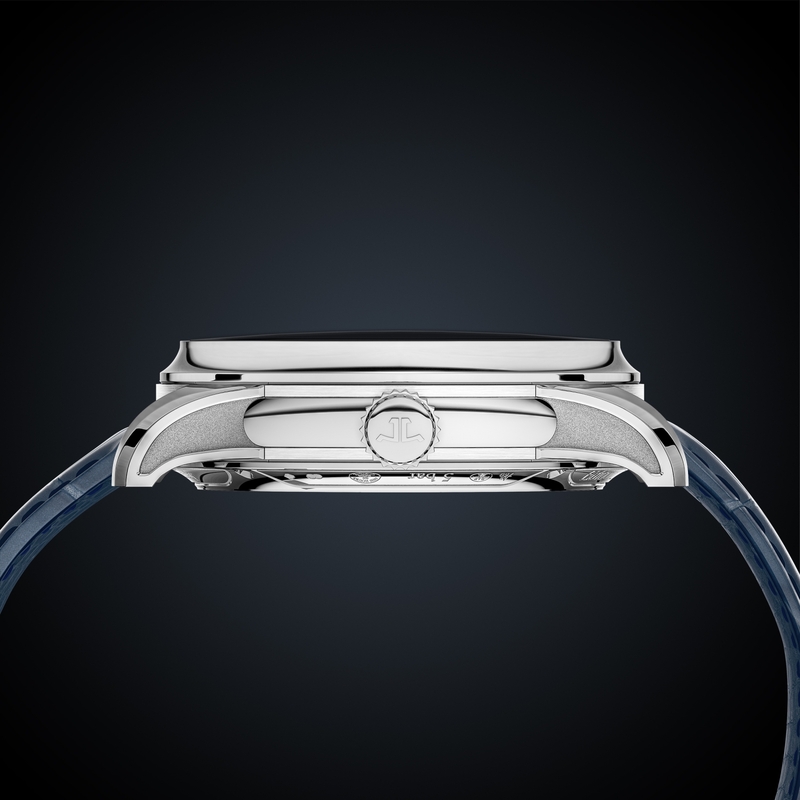 The case and bracelet are 18k white gold, but with dimensions identical to the standard model. 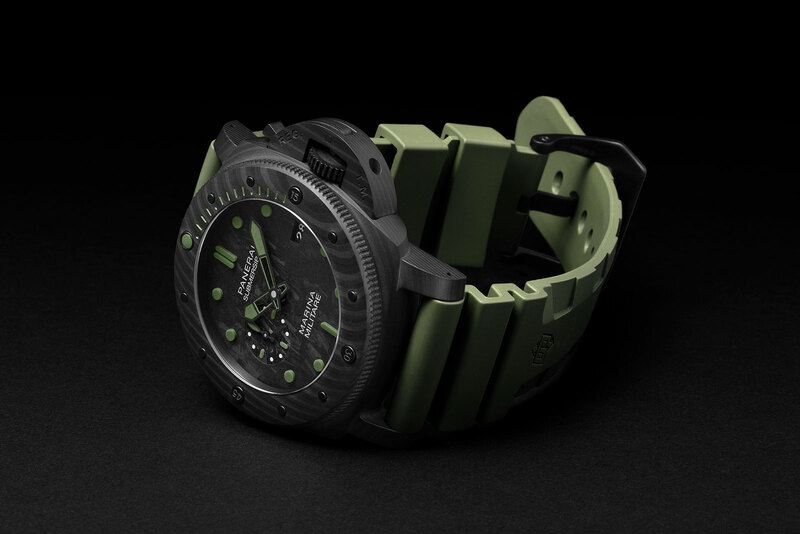 It’s 39mm in diameter and rated to 50m, with the cal. 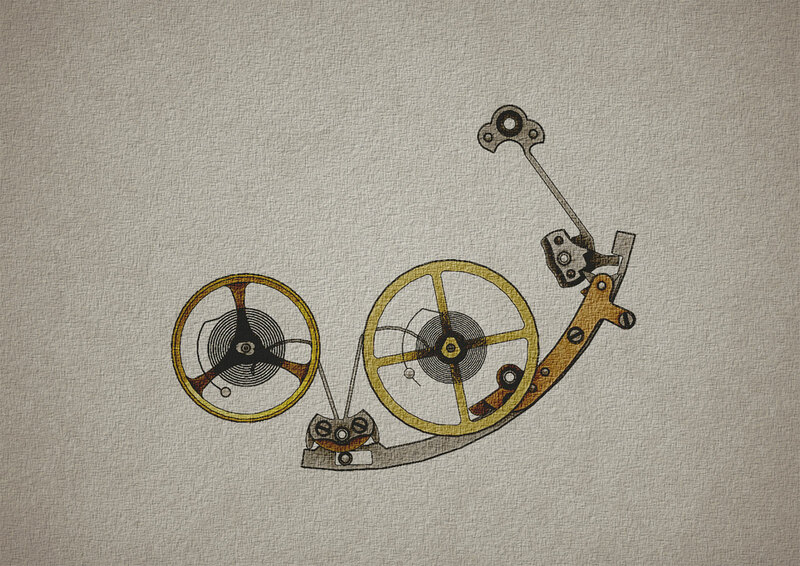 2121 inside. 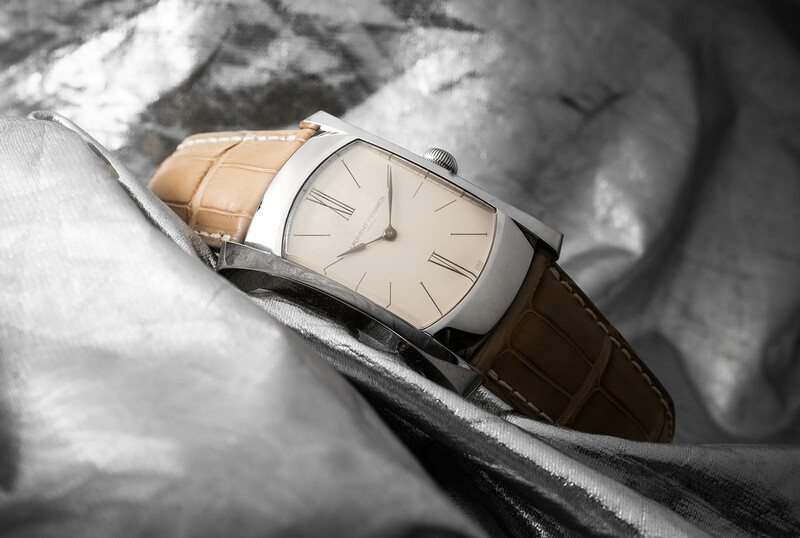 The Royal Oak Extra-Thin “Jumbo” with pink gold dial (ref. 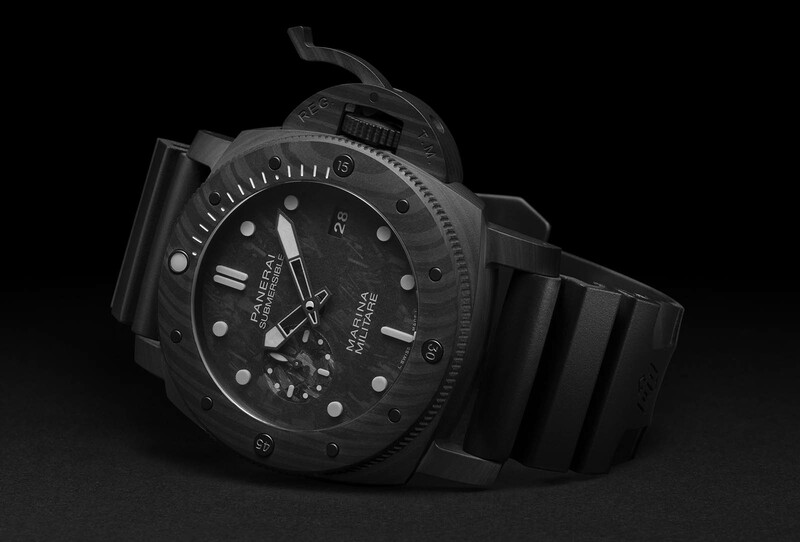 15202BC.OO.1240BC.01) will be limited to a yet to be determined number each year, available only at Audemars Piguet boutiques. 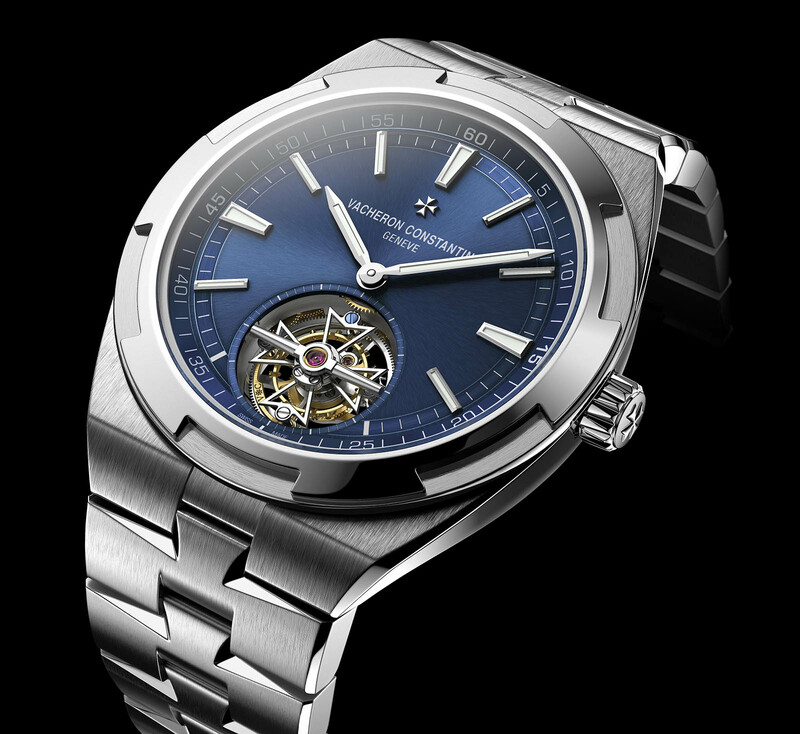 It’s priced at SFr55,000, or S$77,700. 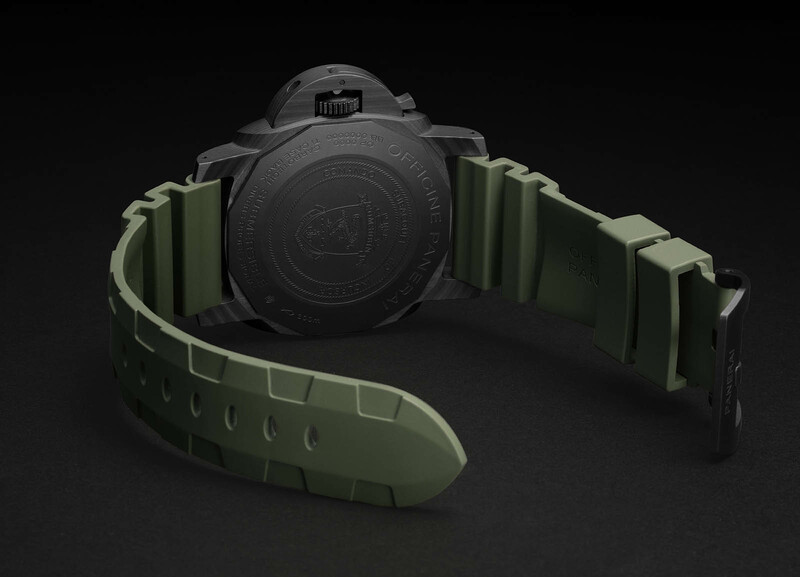 Correction January 17, 2019: The model is a limited production piece, and not limited edition as stated earlier. 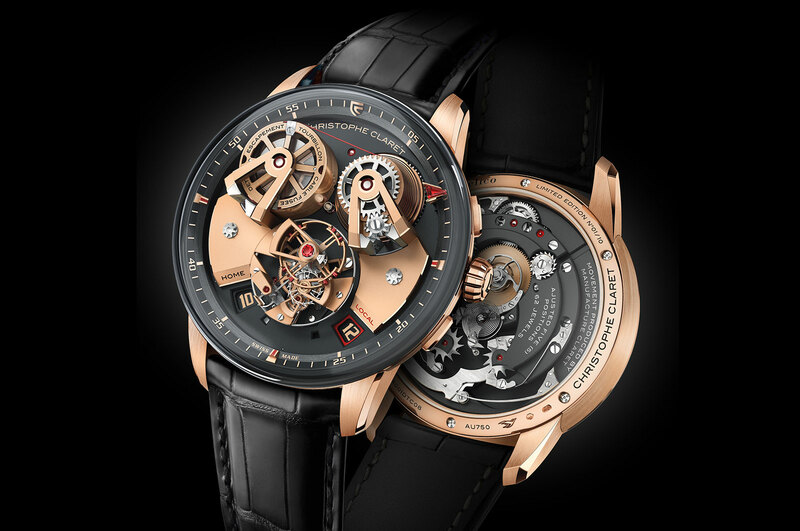 Complications specialist Christophe Claret started making watches under its own name a decade ago, and to mark that anniversary (as well as its 30 years in business), the brand has unveiled the Angelico, a surprisingly interesting wristwatch that incorporates several ideas from chronometers of old, although the styling is contemporary in a manner that might not be to everyone’s taste. 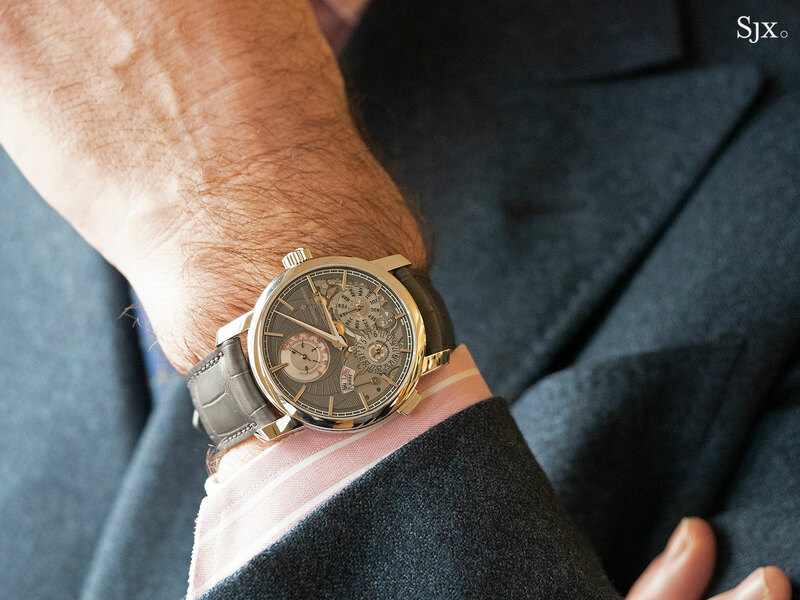 Named after early Renaissance painter Fra Angelico, the watch is equipped with a six-minute tourbillon regulator featuring a pivoted, long detent escapement, as well as a cable and fusee mechanism. 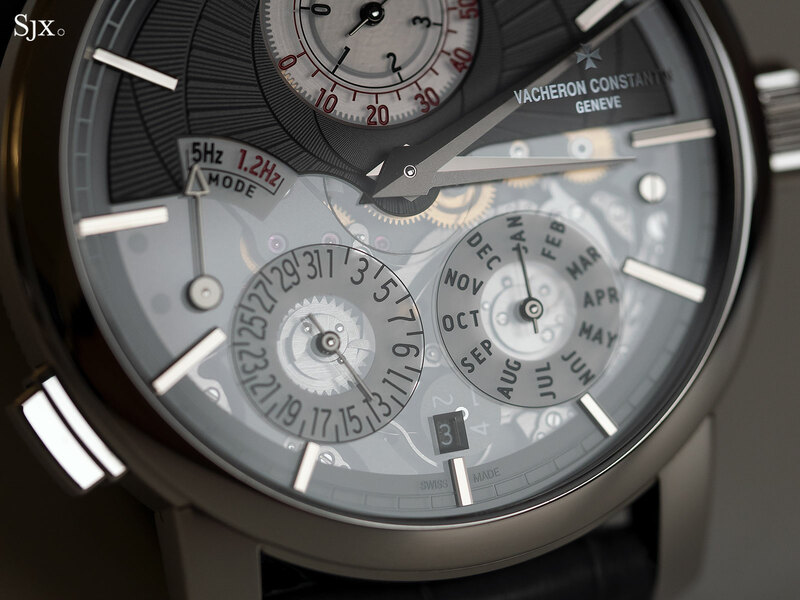 And to top it all off, it also shows two time zones as digital, jumping hours. 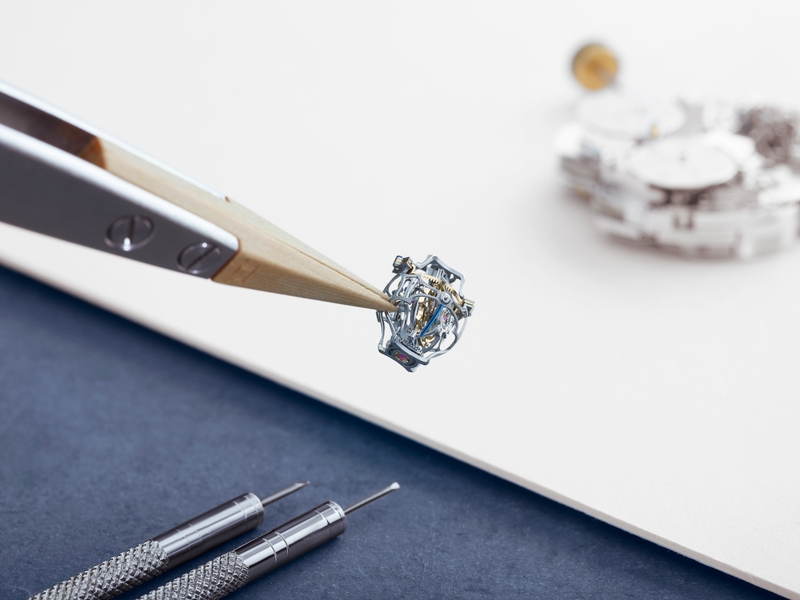 The tourbillon cage is an impressive 16mm in diameter, a size that would ordinarily consume too much energy from the mainspring. 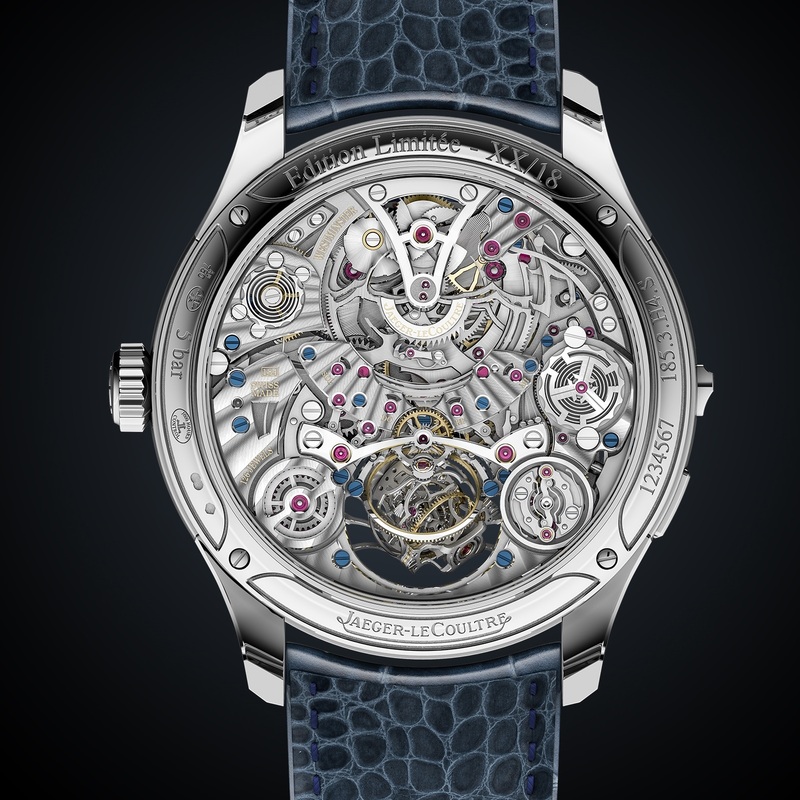 Consequently, the cage is made of titanium, with the bridges in aluminium, making it as light as possible. 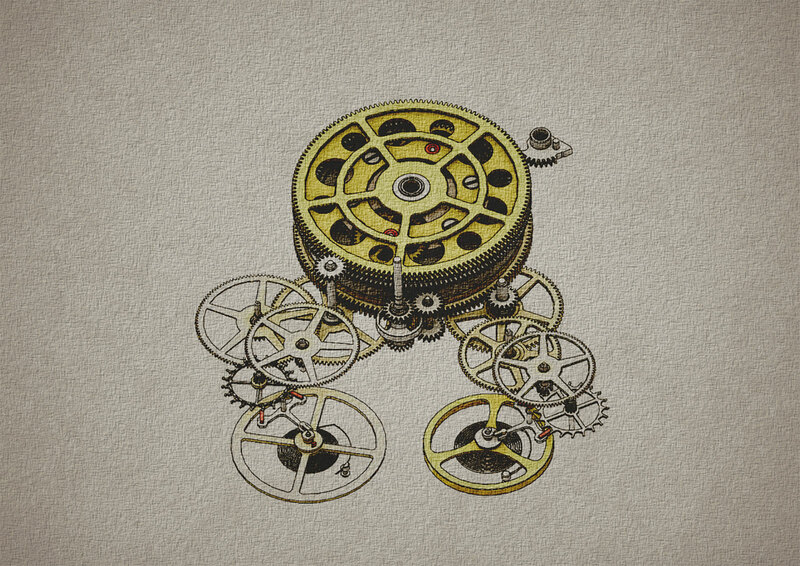 Its energy consumption is further reduced by the fact that it makes one revolution every six minutes, instead of the conventional one minute. 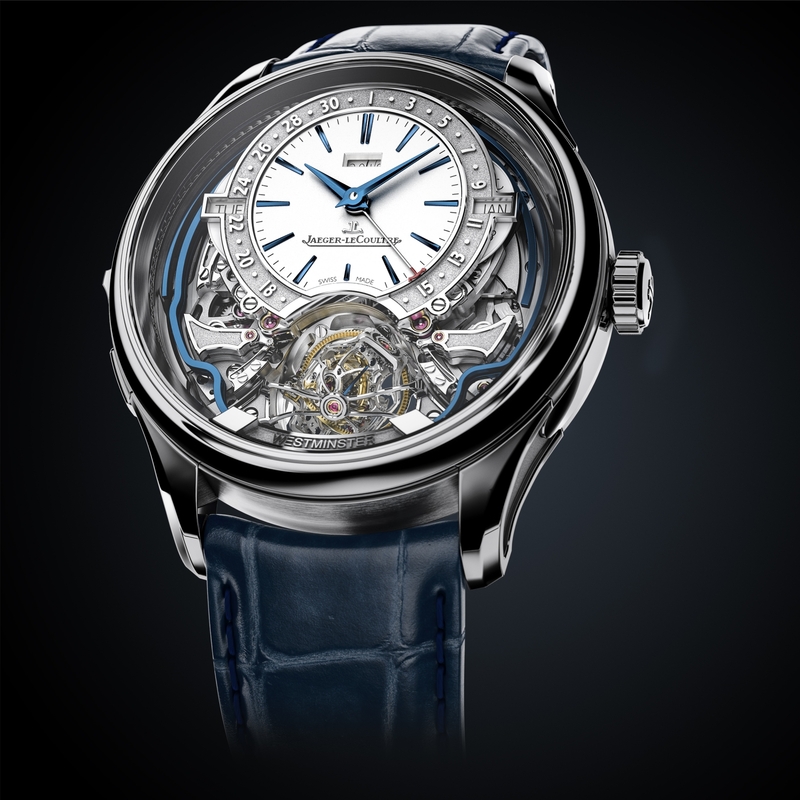 Historically found in marine chronometers and top of the line pocket watches, like the 19th century Girard-Perregaux Tourbillon with Three Gold Bridges for instance, the pivoted, long detent escapement was susceptible to tripping or stopping when subject to shock. 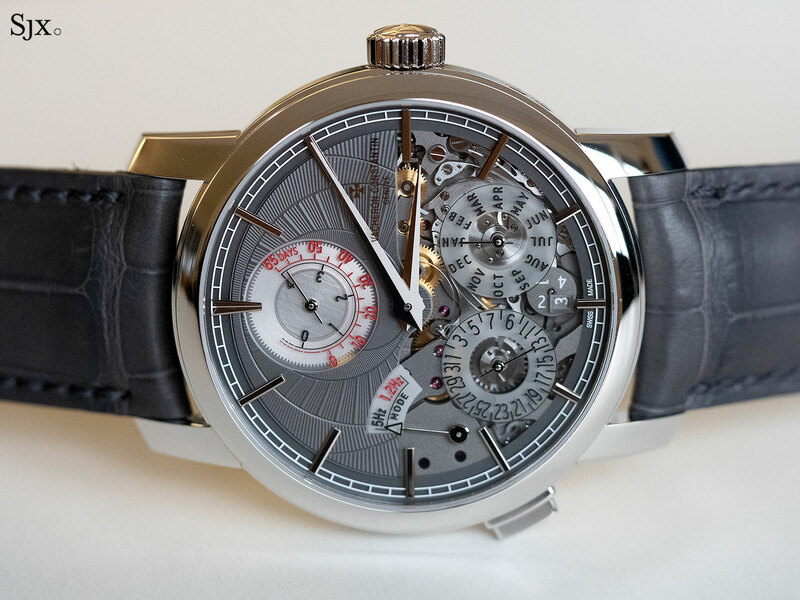 Consequently Christophe Claret has improved its construction to make it wrist friendly, making it one of the handful of watchmakers having produced a wristwatch with a detent escapement. 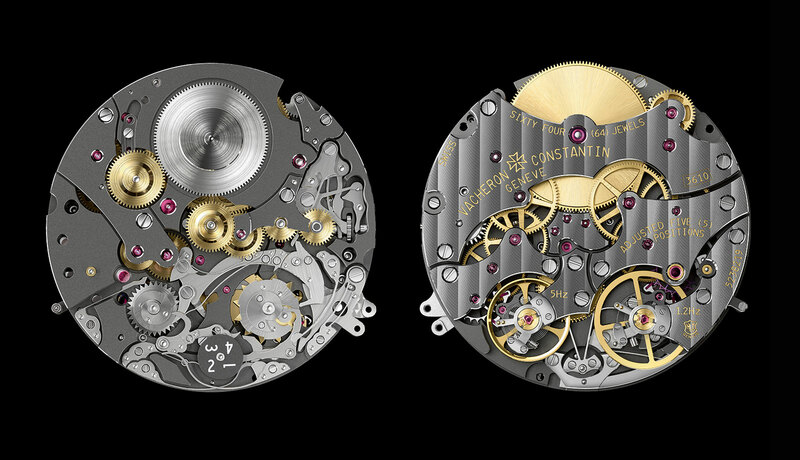 The pivoted detent escapement made its premiere in the Maestoso watch of 2015, though paired with a cylindrical hairspring; in the Angelico the hairspring is a more conventional Breguet overcoil. 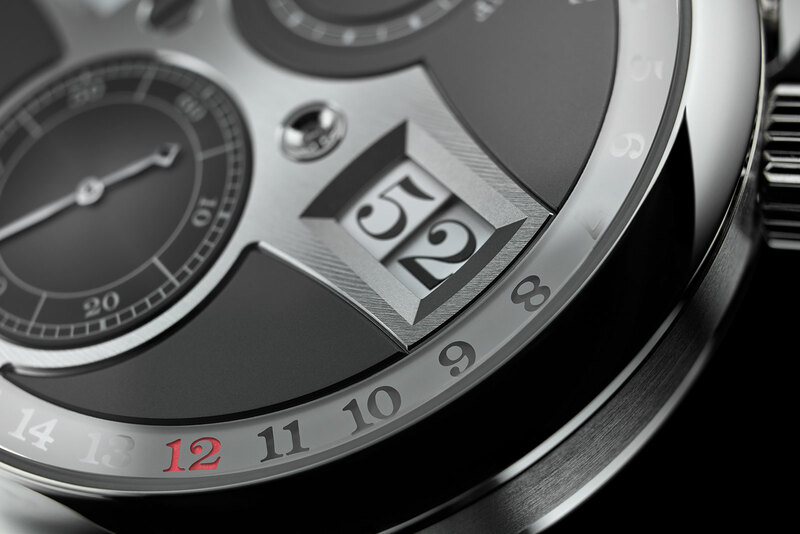 With all that inside, it is expected that the Angelico is a big watch: the case is 45.5mm in diameter and 17.45mm high. 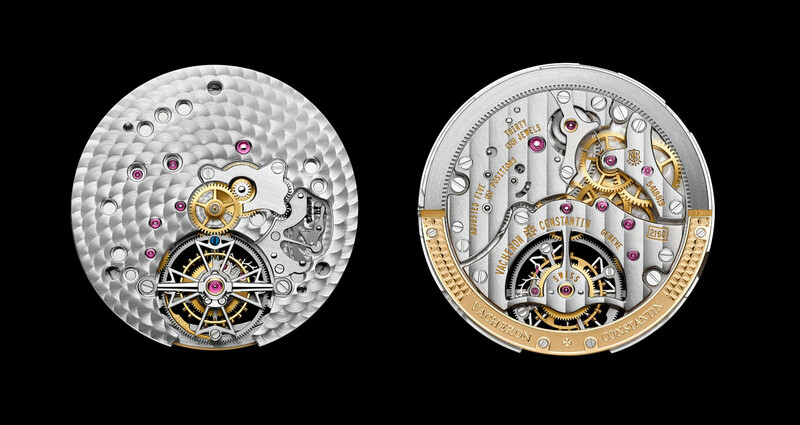 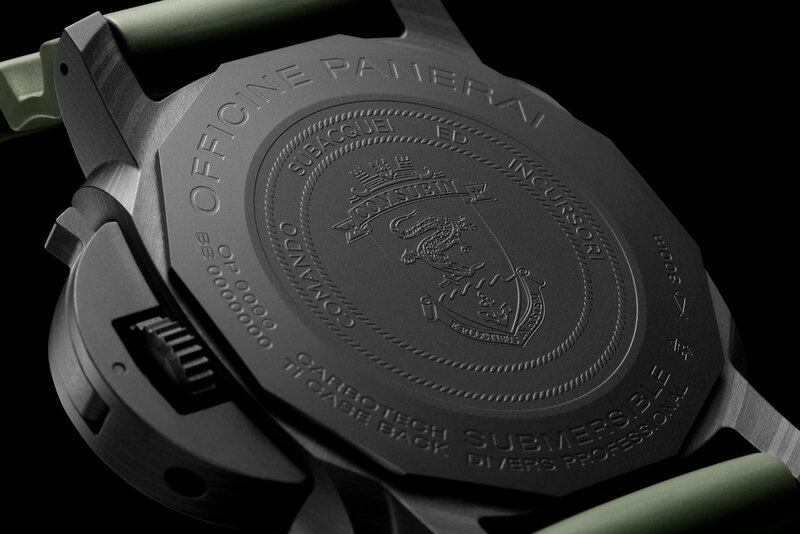 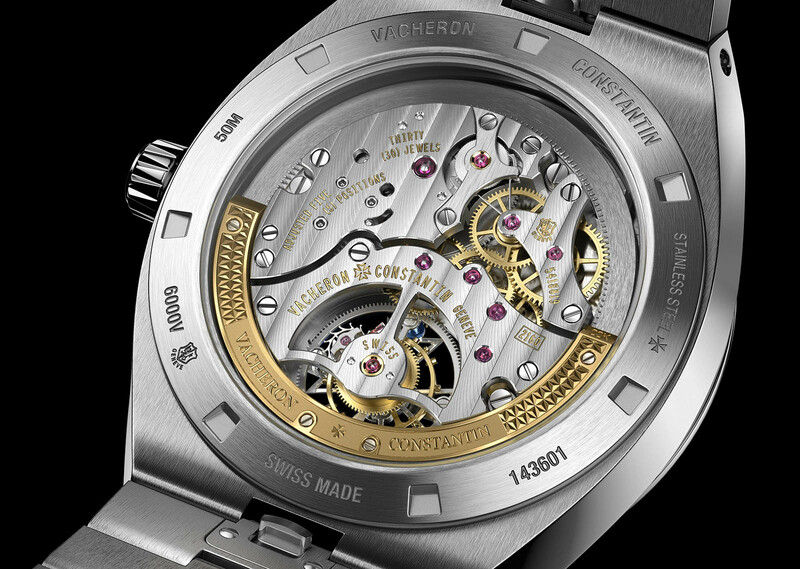 There is very little excess space within the case, however, as the movement itself is 41.1mm wide and 14.2mm high. 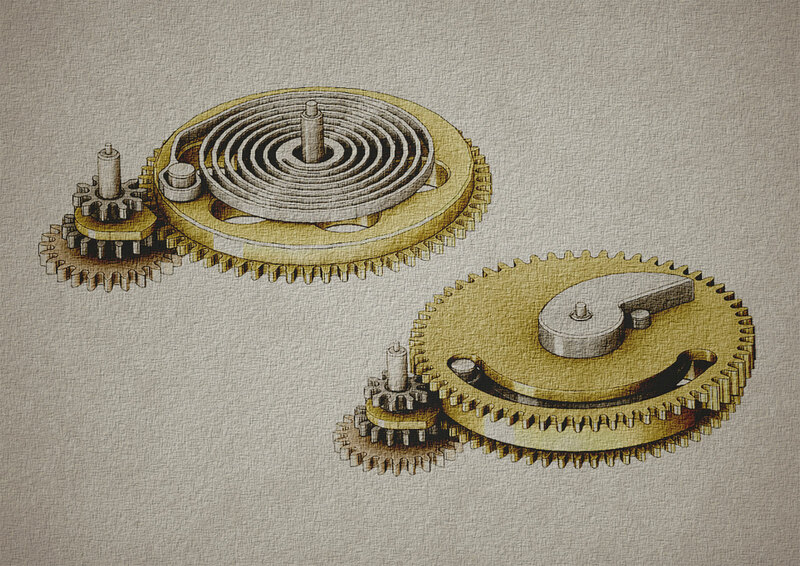 Also unusual is the cable and fusee mechanism. 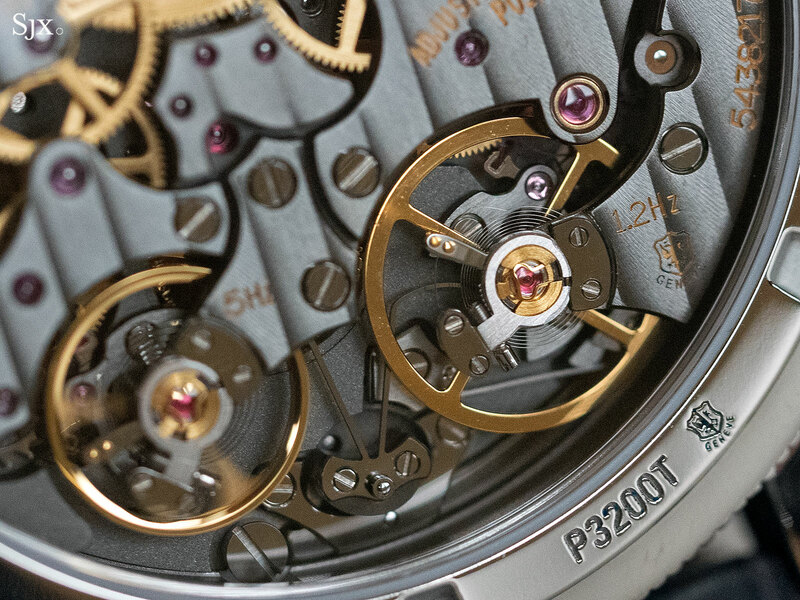 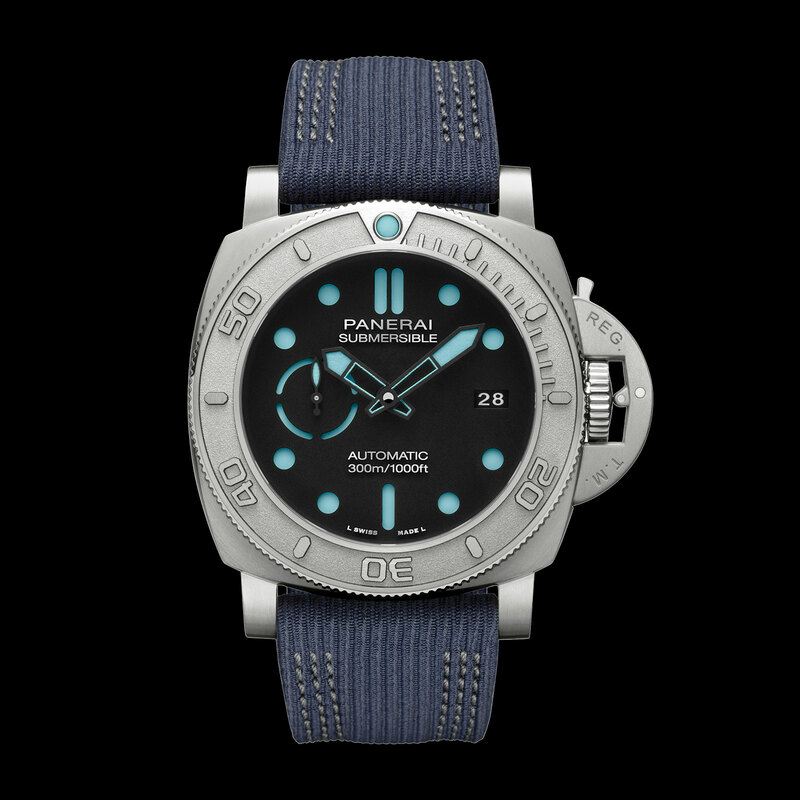 Designed to ensure the movement works with constant force throughout its power reserve, the cable and fusee mechanism operates on the same principle of leverage as a traditional chain and fusee, but with the steel link chain replaced by a cable made of Dyneema. 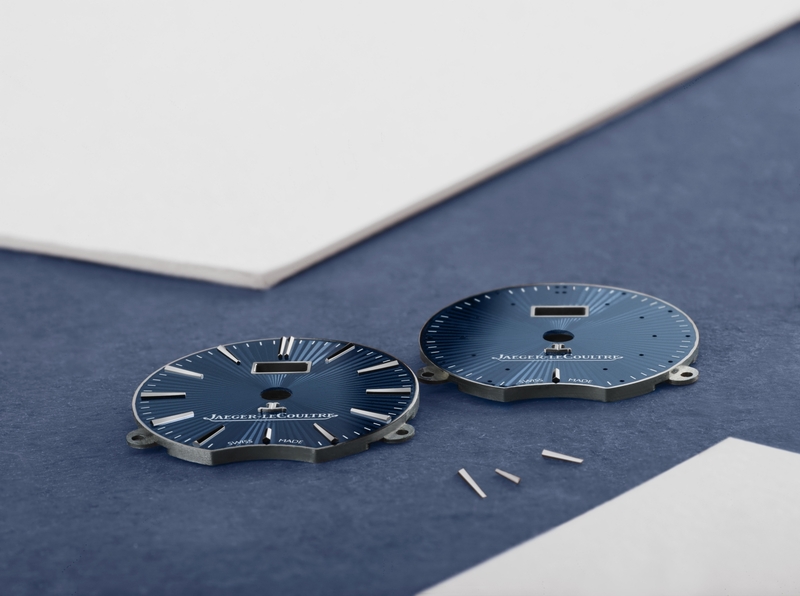 That’s a fibre woven from a high-tech plastic that’s incredibly strong, which is why it is also used for crane cables and anchor ropes – the length of cable used inside the Angelico is enough to lift a 10kg weight. 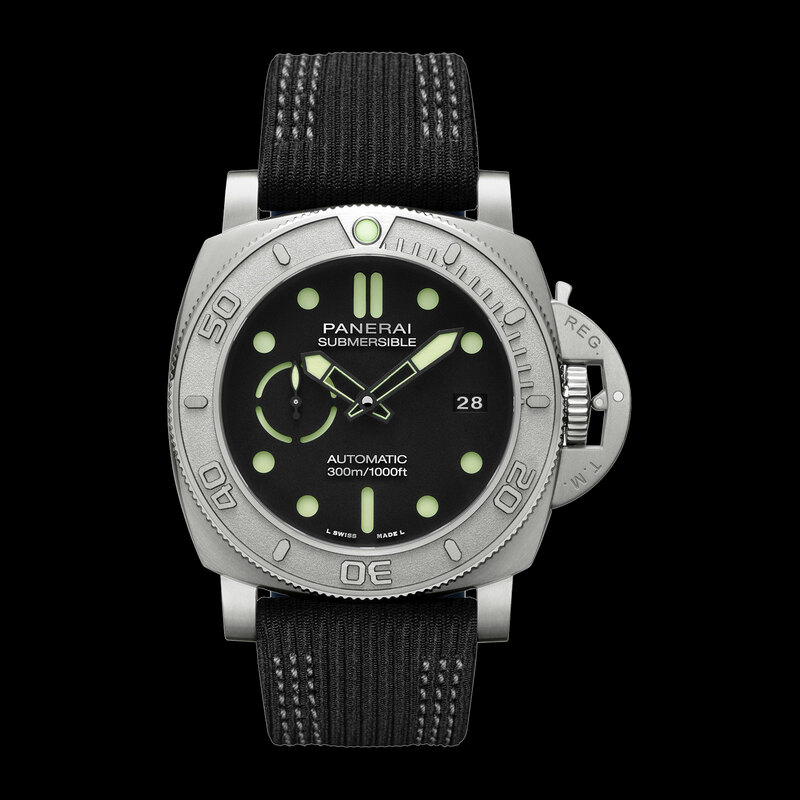 The Dyneema cable offers two advantages over a chain. 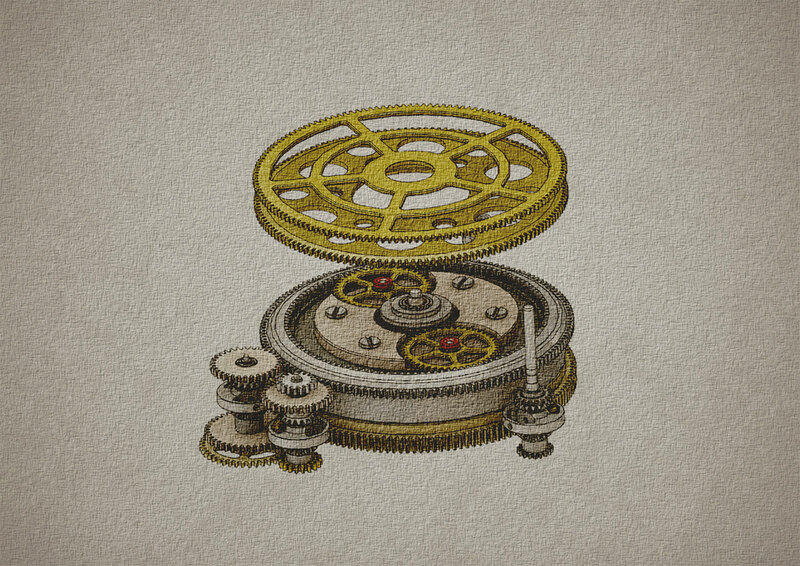 First, it operates with almost no friction, and second, its narrow width – just 0.18mm in diameter – means that the length of cable used is twice the length of a chain in a similar set-up. 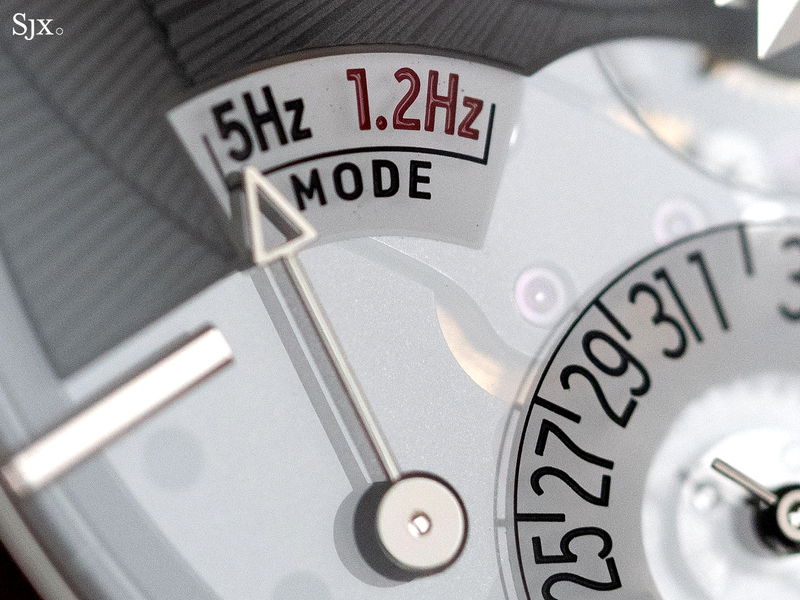 The increased length results in a more measured delivery of the energy from the barrel. 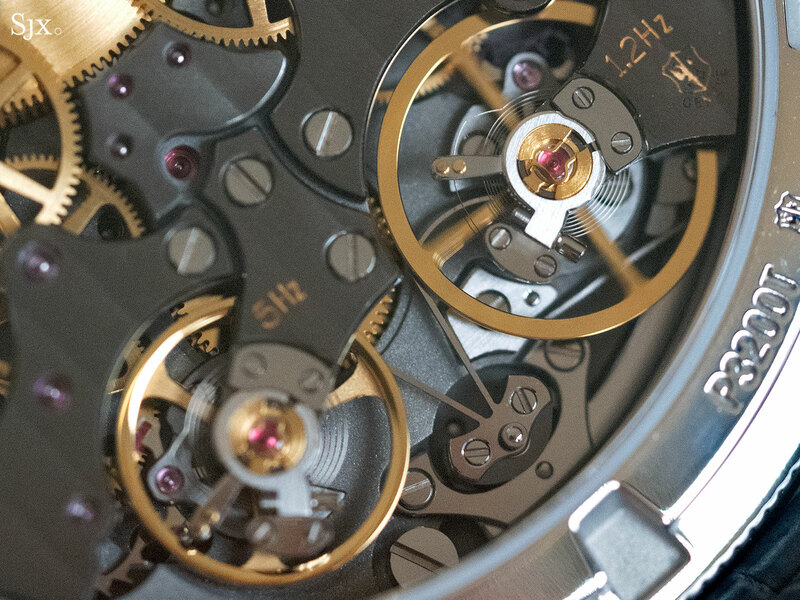 Inside the barrel sit two mainsprings, stacked one on top of the other, that unwind in parallel. 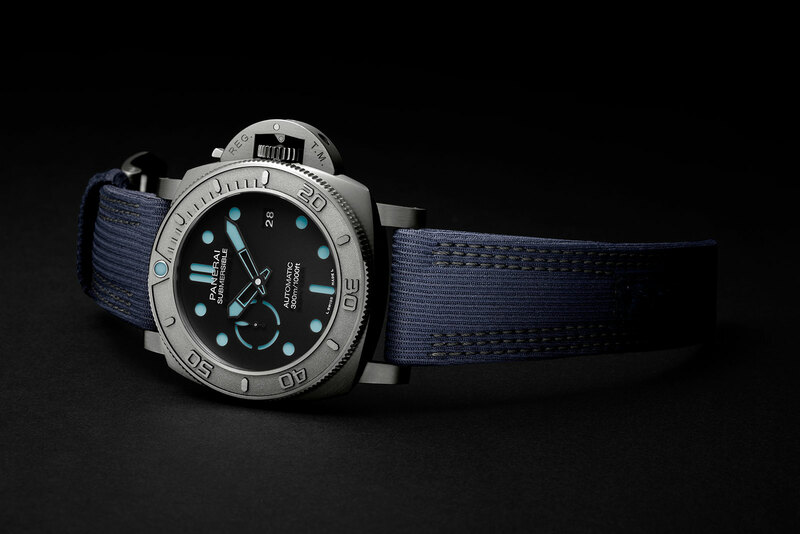 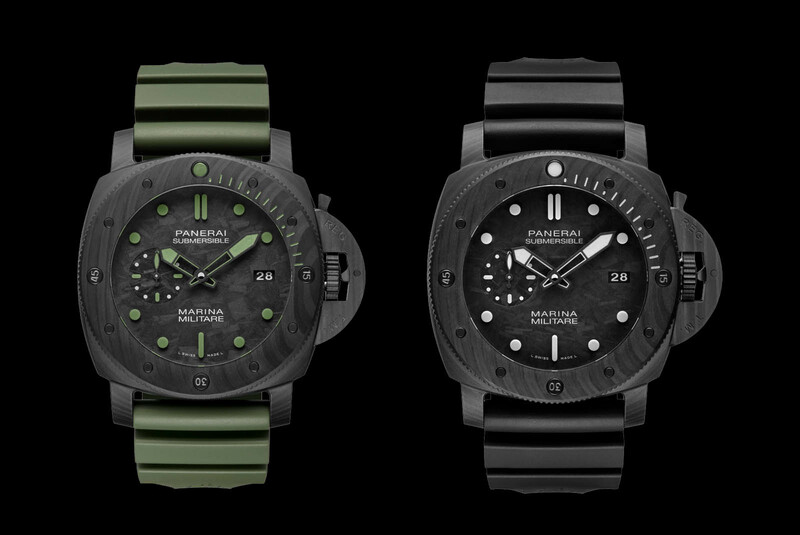 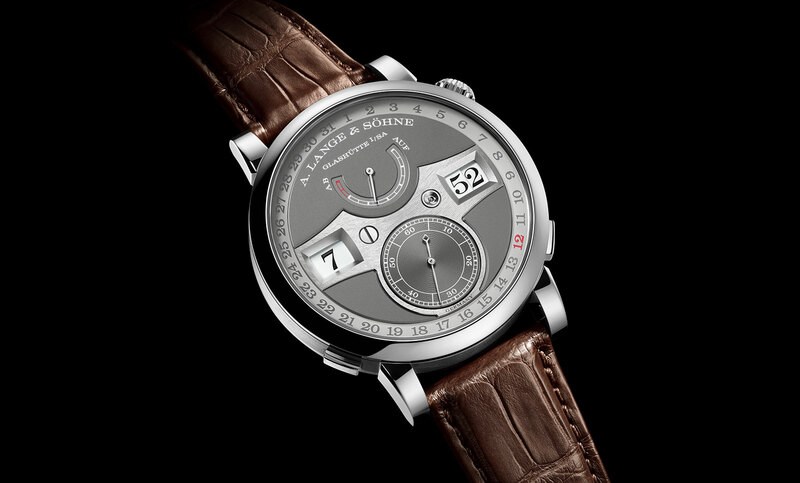 Together they provide a 72-hour power reserve. 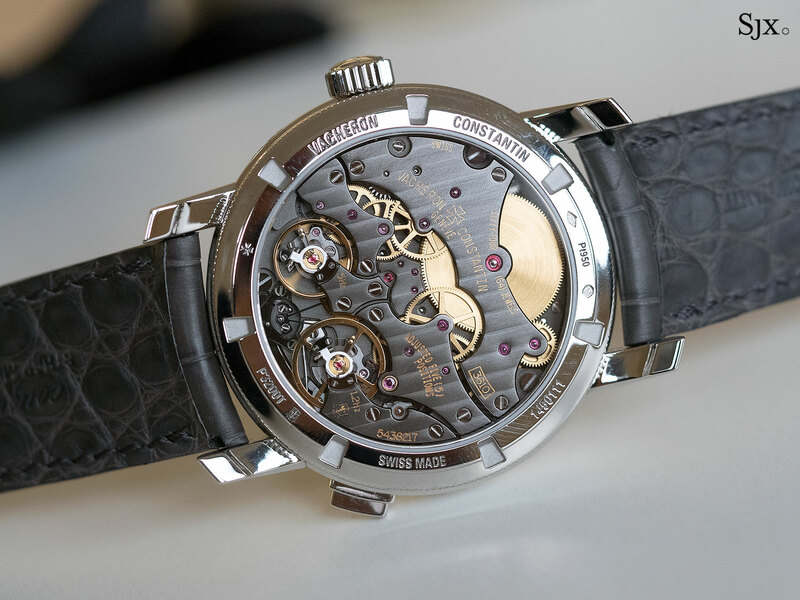 Because both the barrel and fusee sit raised from the base plate, the power reserve display is vertical, indicated on the side of the barrel via the coils of the cable remaining. 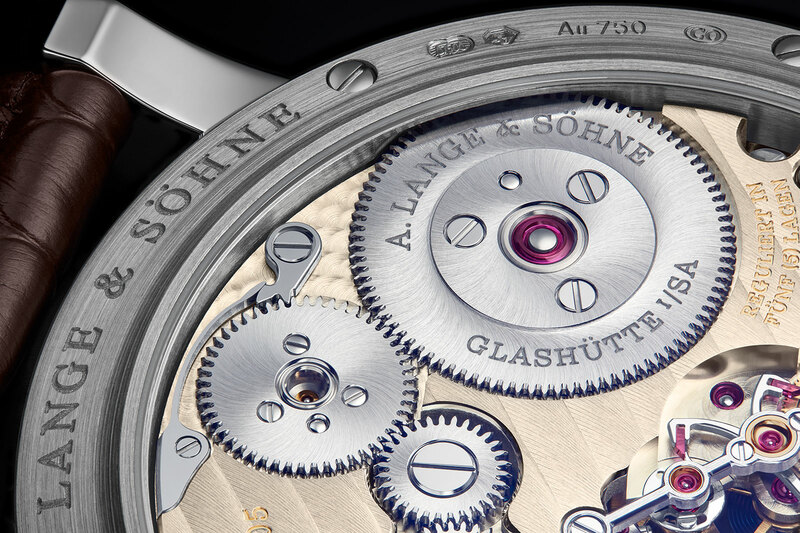 The fusee has a similar indicator labelled “Stop Work”, to show how much of the energy inside the barrel has been consumed. 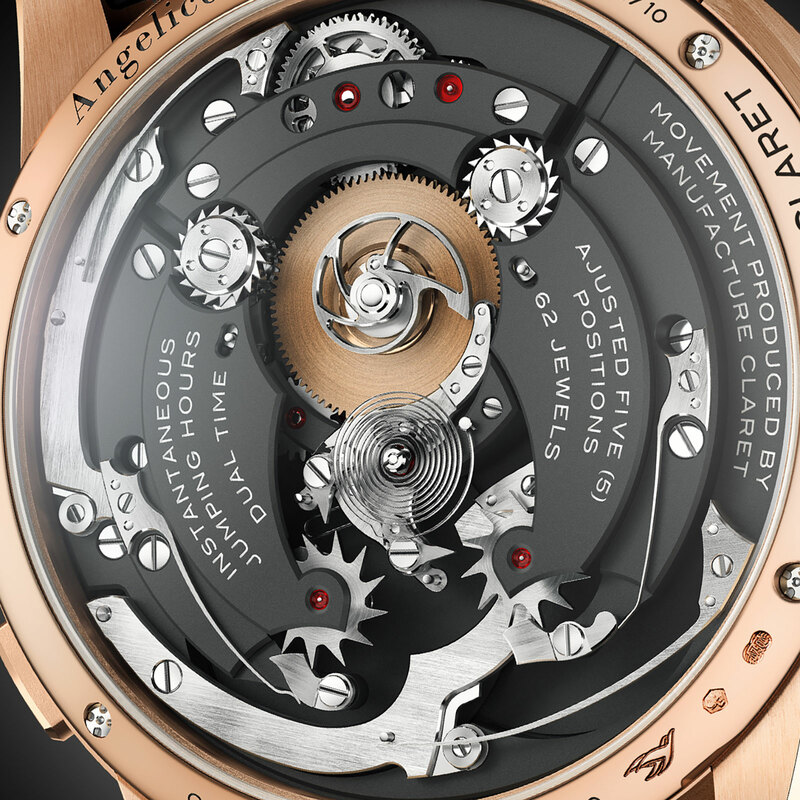 The final complication inside the Angelico is the time display. 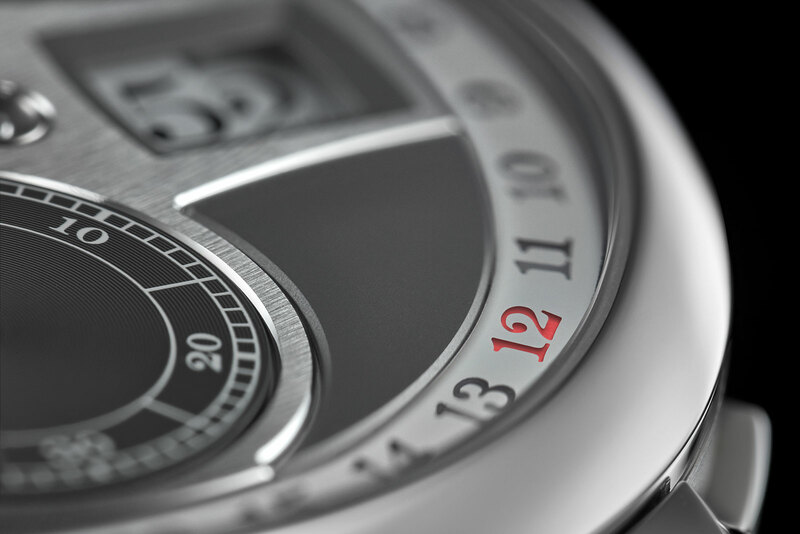 Two time zones are shown on the lower edge of the dial, indicated as digits inside windows. 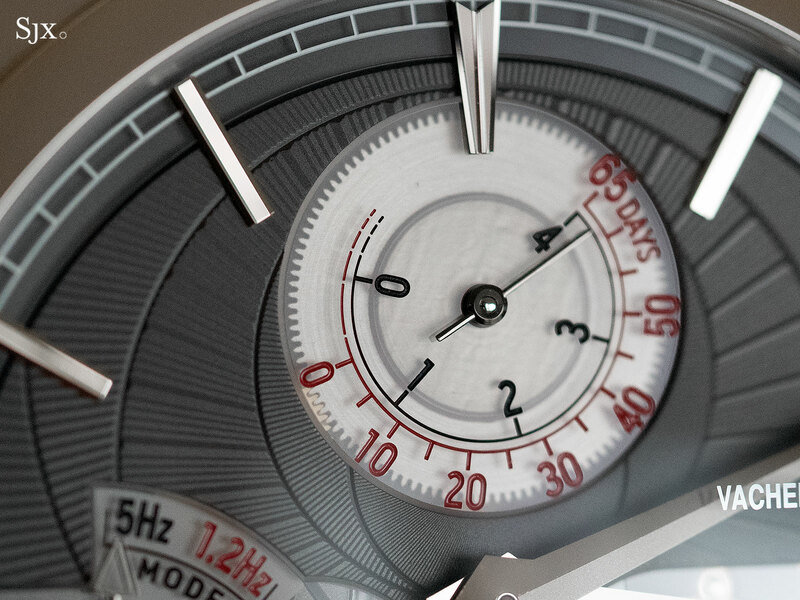 Adjacent to each hour display is a tiny window that’s the day and night indicator. 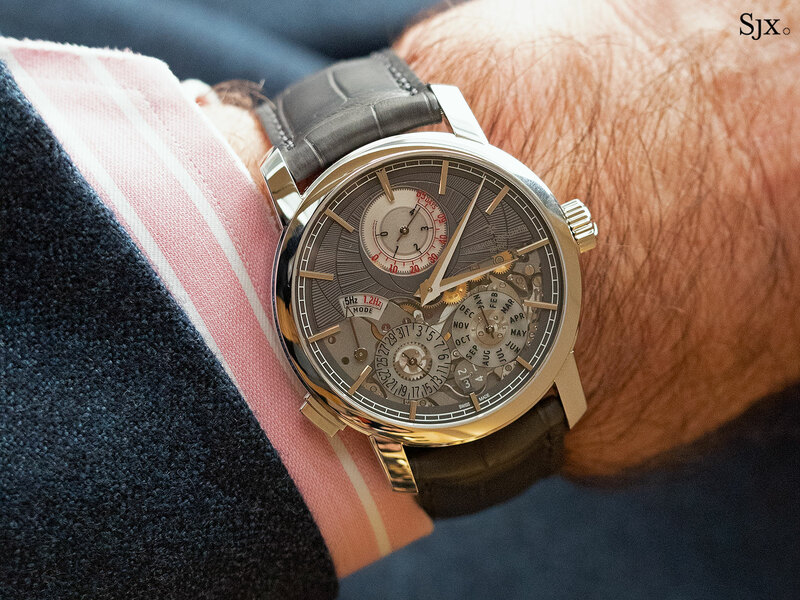 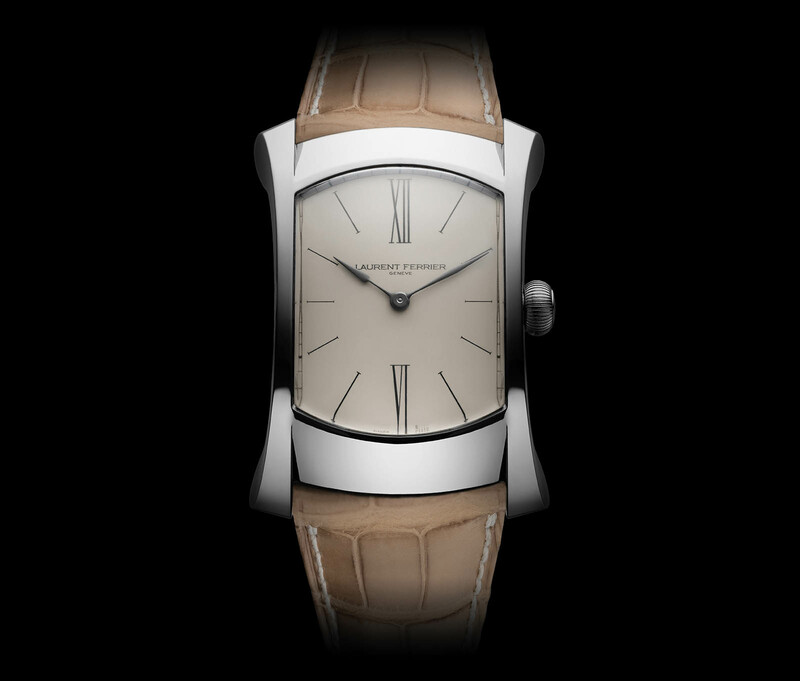 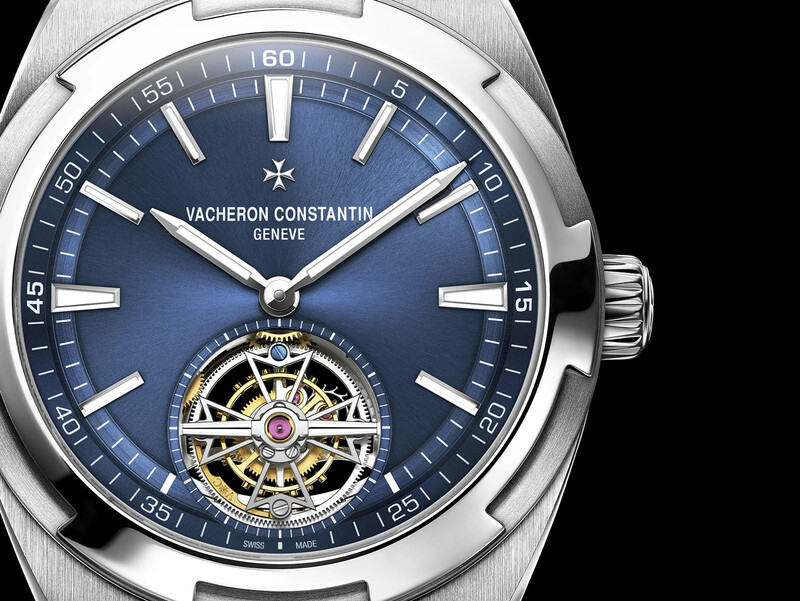 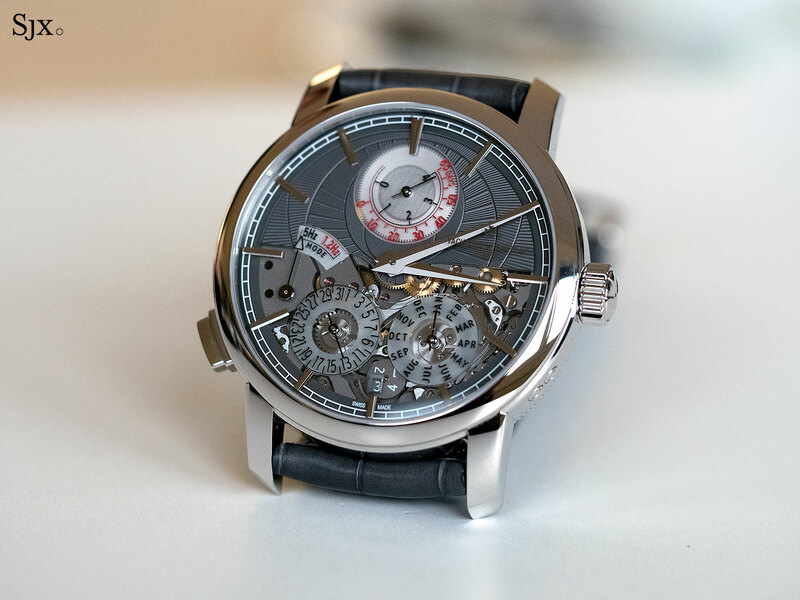 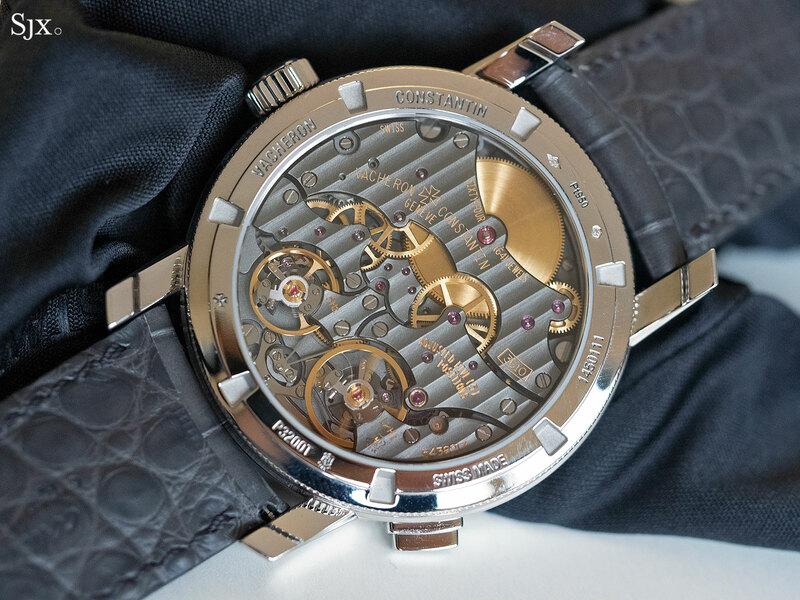 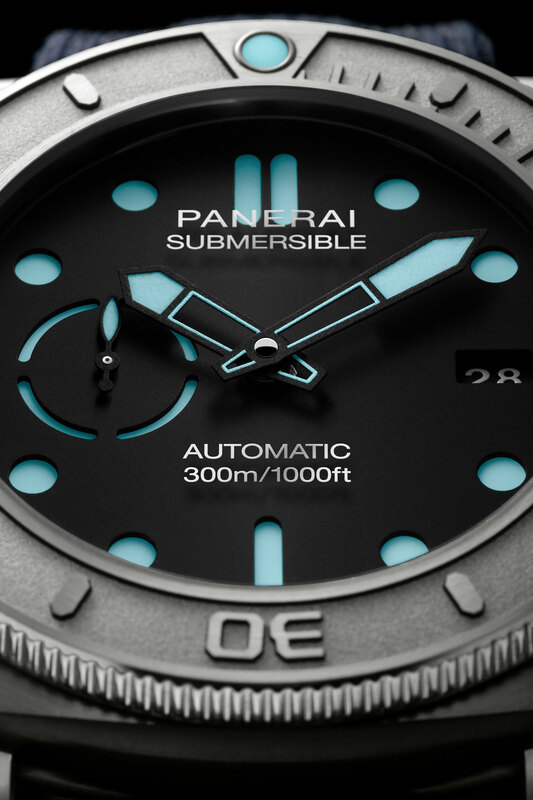 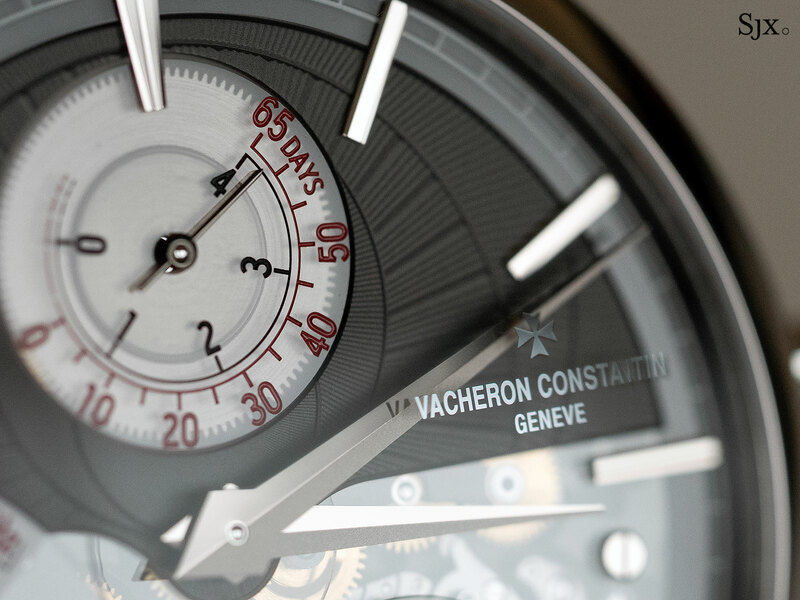 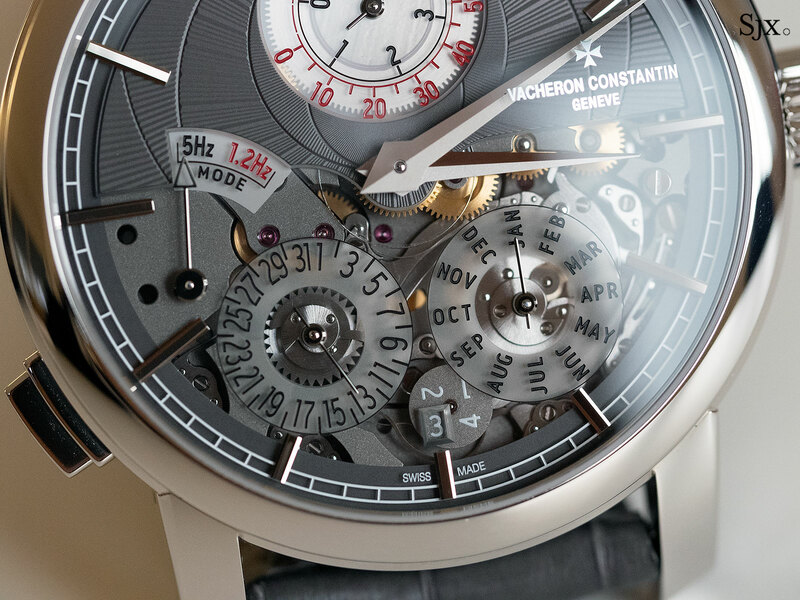 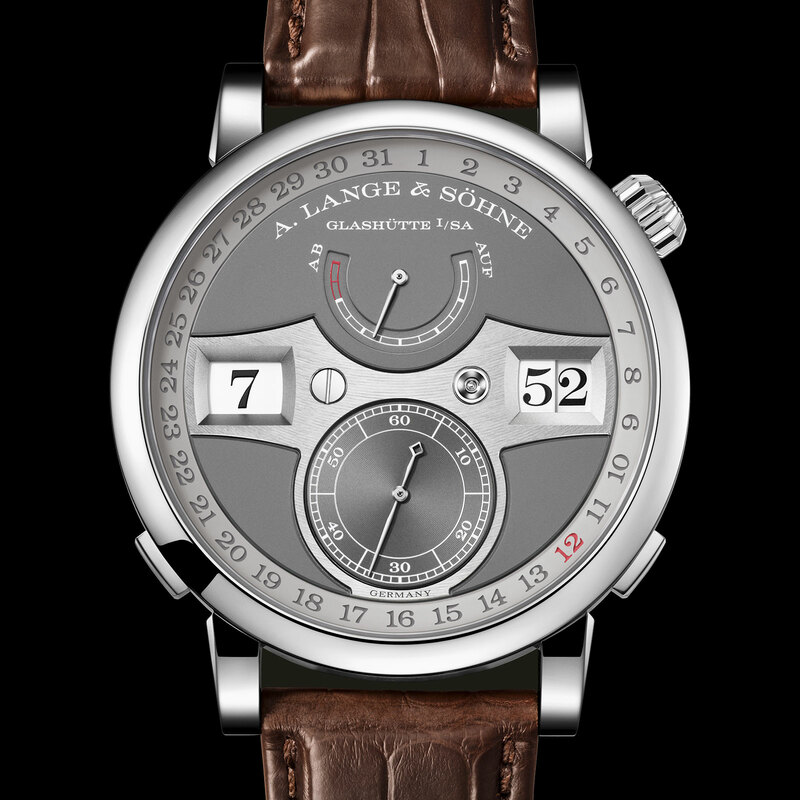 Minutes are indicated on the periphery of the dial indicated by a hand tipped with a gemstone (ruby on the red gold model, and sapphire on the titanium). 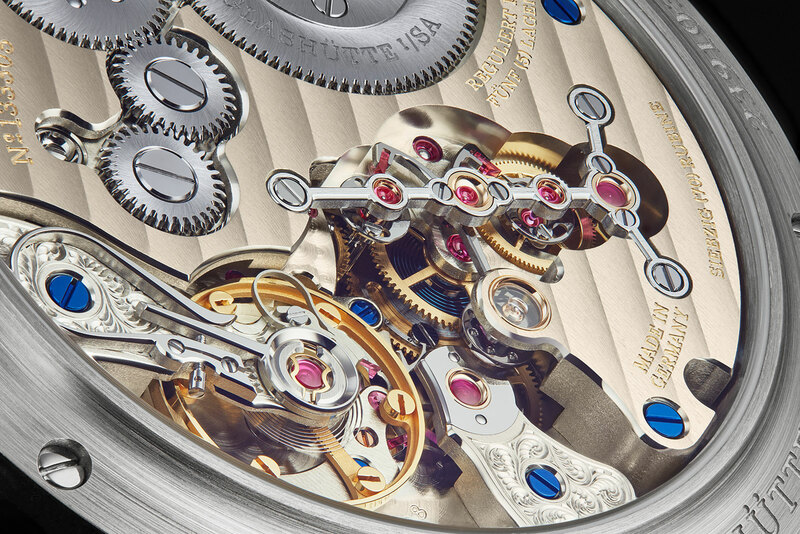 The levers, star wheels and spring for the jumping hour displays are visible through the display back. 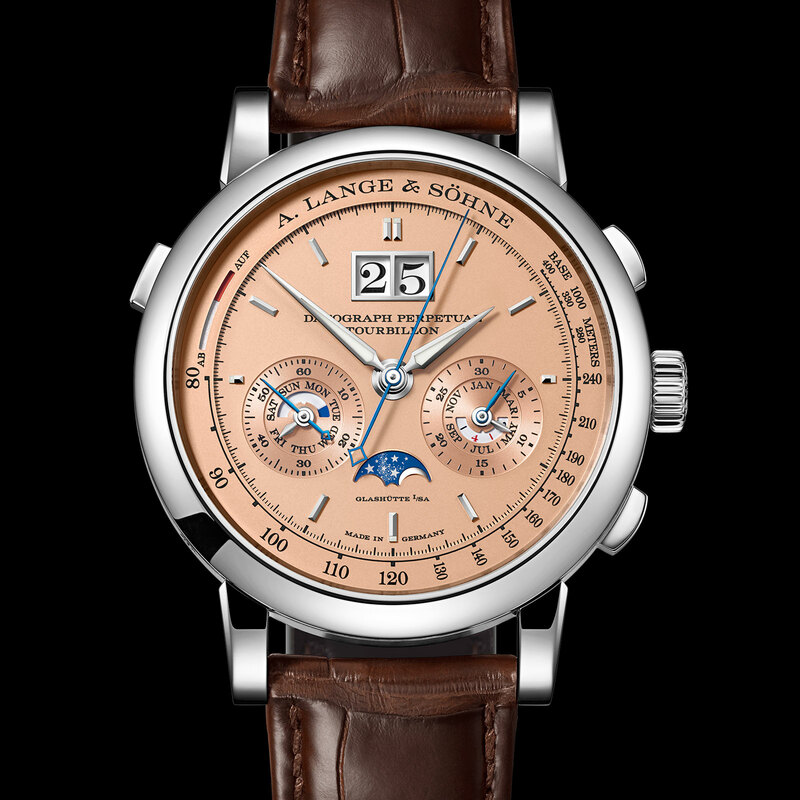 With all that inside, it is expected that the Angelico is a big watch: the case is 45.5mm in diameter and 17.45mm high, in part due to the domed sapphire crystal. 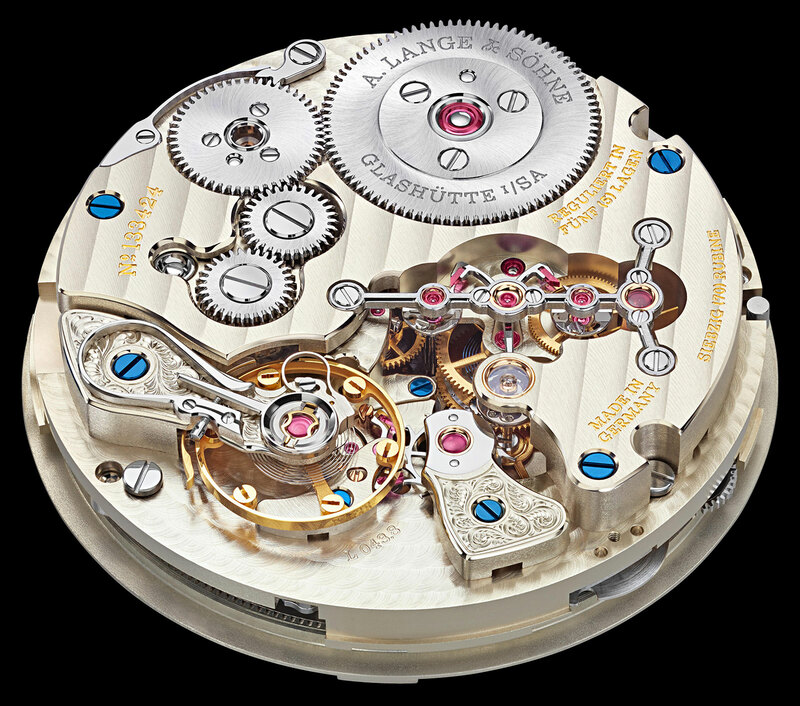 There is very little excess space within the case, however, as the movement itself is 41.1mm wide and 14.2mm high. 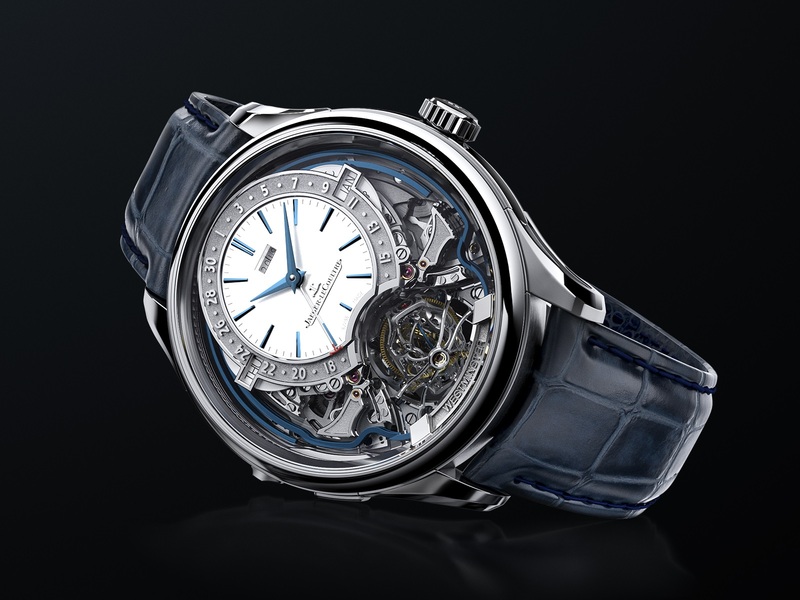 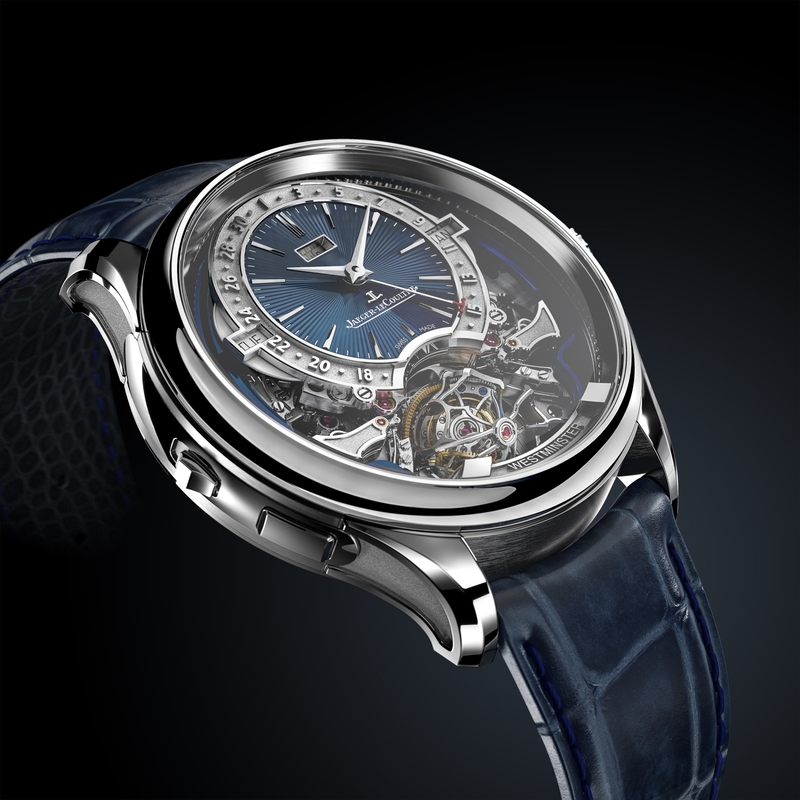 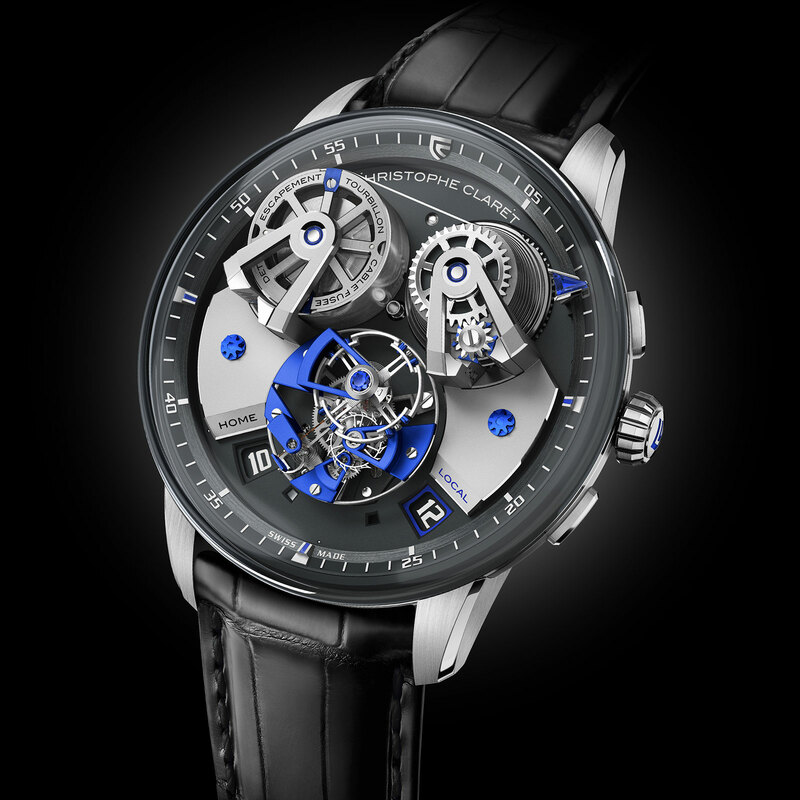 The only images of the watch available now are computer-generated renderings, but unlike many of its peers Christophe Claret has a good track record of building and delivering complications that work, which means the Angelico will make it to market. 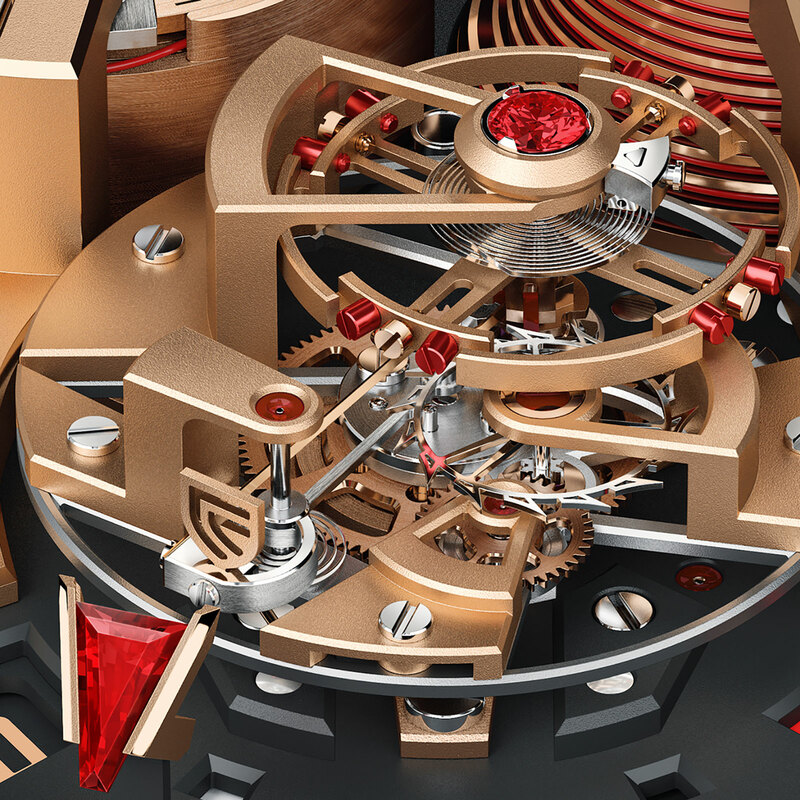 The Angelico is limited to 10 piece each in red gold and titanium. 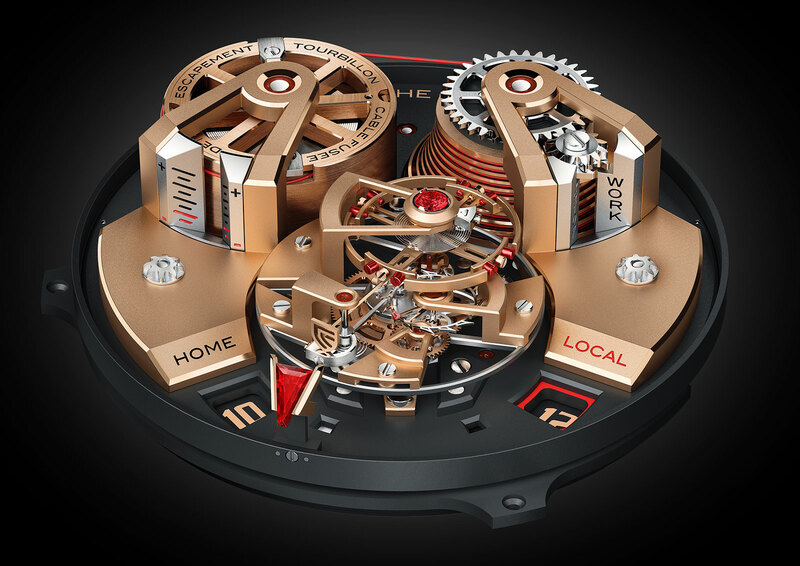 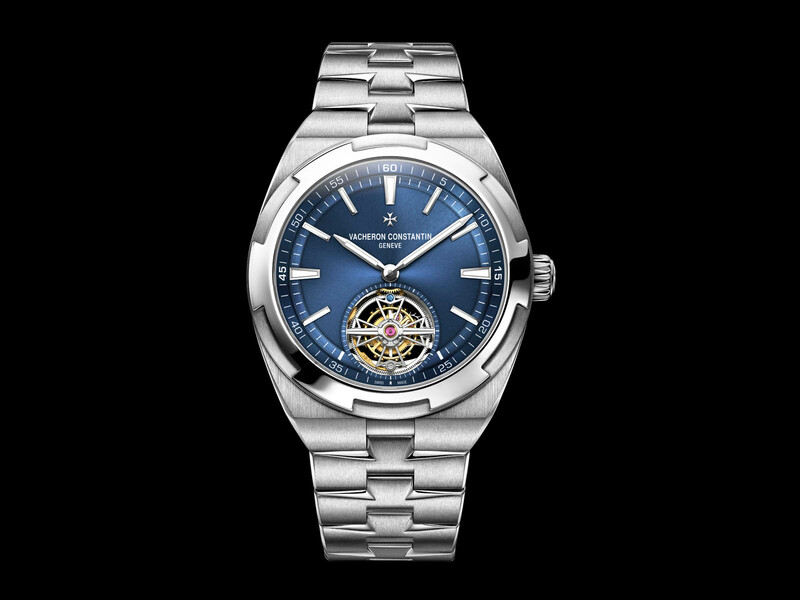 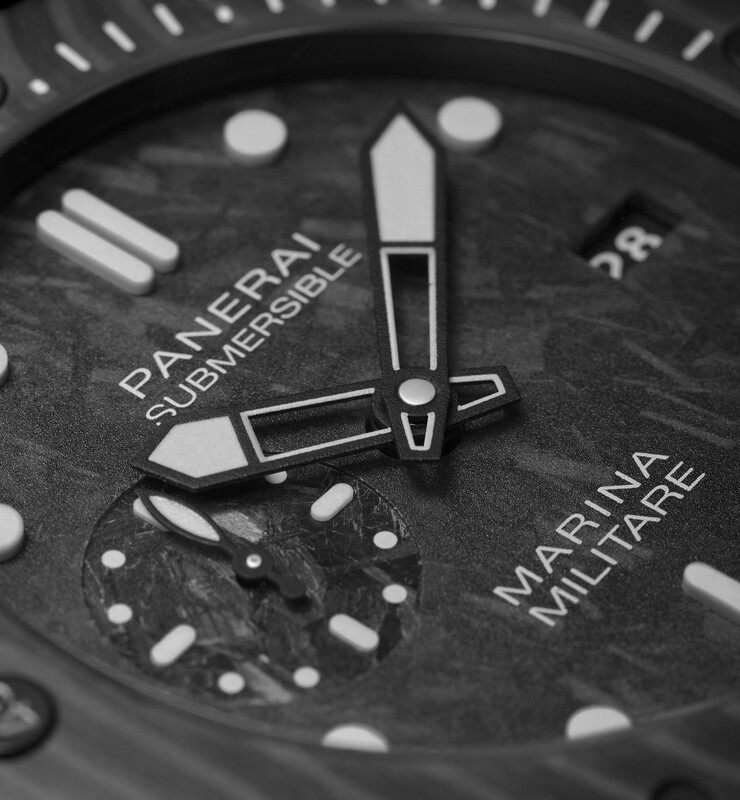 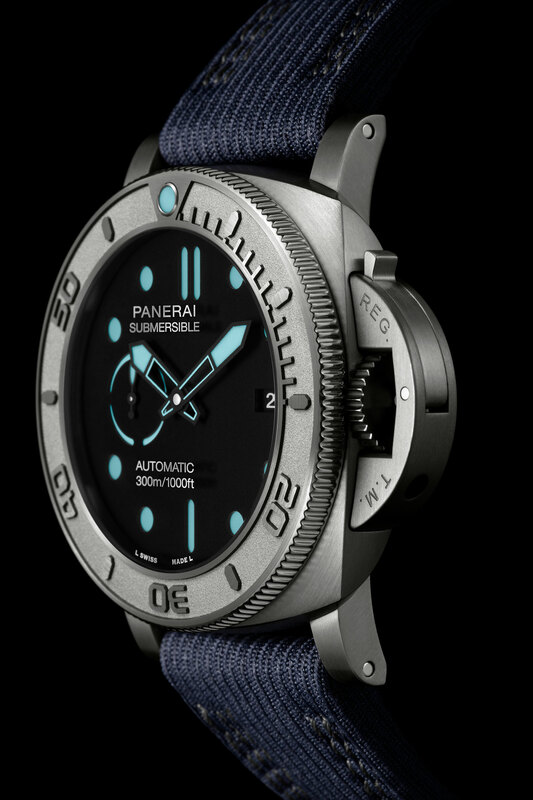 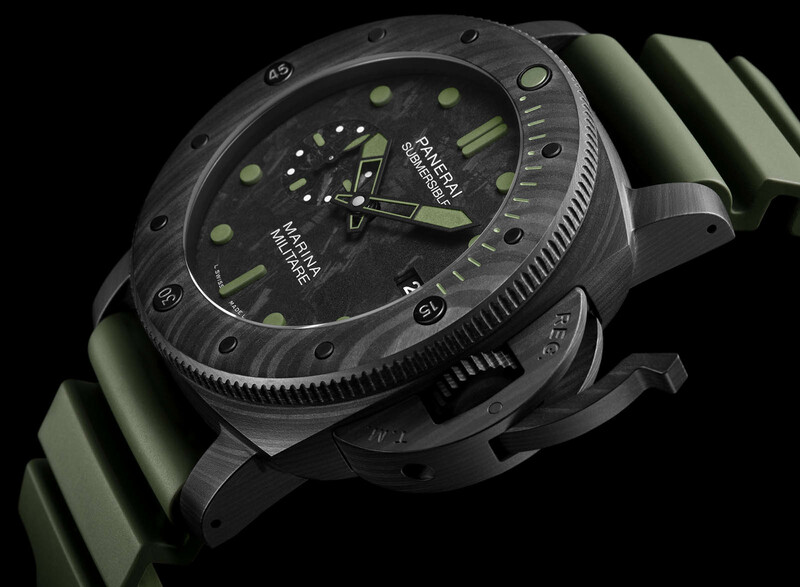 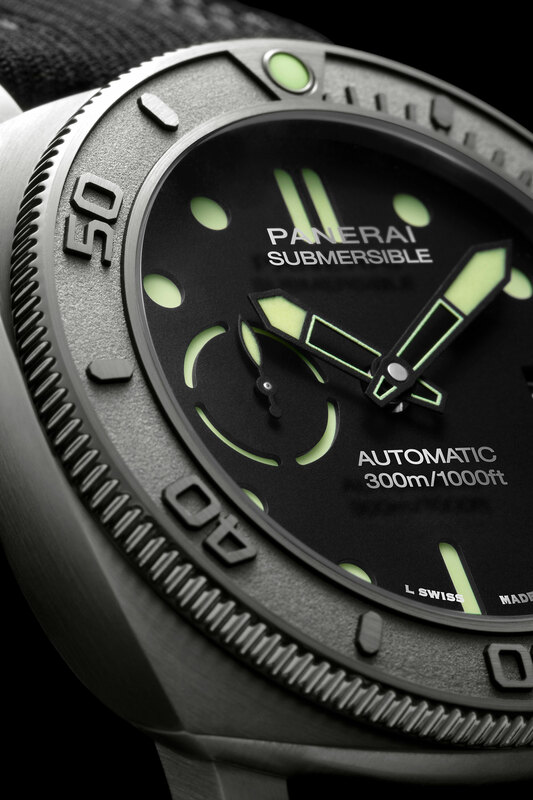 It’ll cost SFr218,000 in titanium, and SFr238,000 in red gold; prices are before taxes.